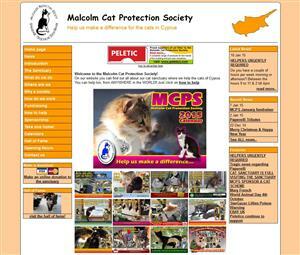 The Malcolm Cat Protection Society is a cat sanctuary helping the cats in need in Cyprus. We stepped in to provide them with a new website which is a powerful tool for helping the sanctuary generate much needed support by providing up to date information. The sanctuary operates entirely on volunteers and donations. Their website plays an important role in communicating what they do and encourages support from around the world. The volunteers at the sanctuary are able to add news items, features and photos to the website using simple administration pages so it stays up to date without the need for a website expert. UPDATE: New Malcolm Cat Website launched in 2015: Read post.